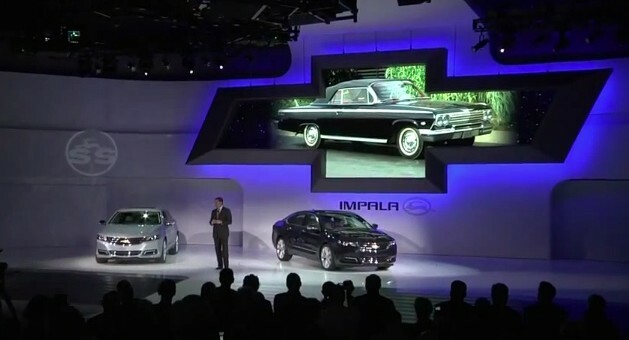 The fine folks at Chevrolet have posted the unveiling of the 2014 Impala at last week’s New York Auto Show. And while there are a few points of contention about the Chevy’s new flagship, there are also some interesting take-away points from the presentation. We really like what we see, but are now very intrigued by the recent developments surround a rear-wheel Chevy drive sedan. In fact, curious may be an understatement. No ‘no consoles’ will be offered. That mean no bench seats or column shifters. How do you know there will be no console offered? is there gonna be a powermat? ?